MELBOURNE, Australia — Latest results from the 2018 Australian Open Grand Slam Women’s Singles matches on Monday’s Day 1 on Jan. 15. A number of seeded players, including Americans No. 5 Venus Williams and No. 13 Sloane Stephens suffered shocking early first-round exits from the first Grand Slam of the year. Williams, a finalist in Melbourne last year, was hoping to go one better this time, but fell in straight sets to Switzerland’s Belinda Bencic on the opening day of action. The American veteran who beat Bencic four times before, fell this time, 6-3 7-5 to the 20-year-old after looking shaky from the start. “It was amazing, this match. I think the level was great,’’ said Bencic. “Also, you know, she beat me four times before, so I was really happy, took my chance this time. Another American, U.S. Open champion Sloane Stephens, also tumbled out in the first round against China’s Zhang Shuai on Margaret Court Arena. Stephens, who continues to struggle since her success at Flushing Meadows, took the opening set of the contest, but Zhang responded to win 2-6 7-6(2) 6-2. No. 31 Ekaterina Makarova of Russia fell 3-6 6-4 8-6 to Romanian Irina-Camelia Begu, while USA’s No. 10 seed Coco Vandeweghe went out to Timea Babos (HUN), 10- 7-6(4) 6-2. 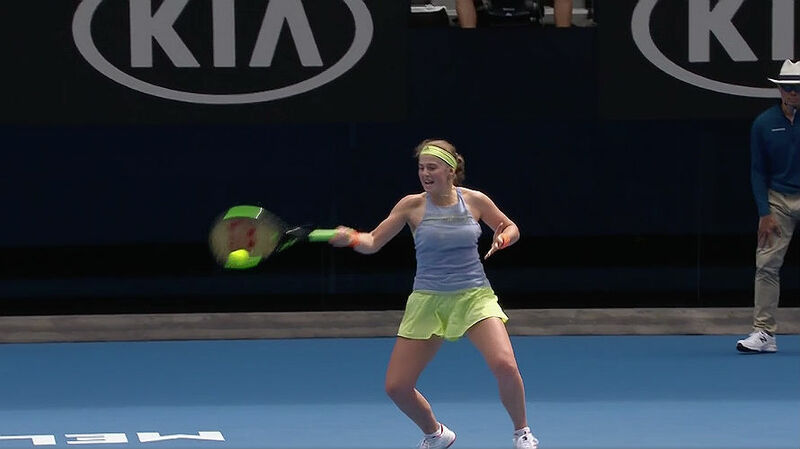 The tournament, though, saw the likes of Jelena Ostapenko, Caroline Wozniacki and Elina Svitolina and victorious in their first-round matches.